Pi Day is really about math (the ratio of a circle's circumference to its diameter: 3.14 …) but you can cash in on deals from places offering deals on pies today, March 14. 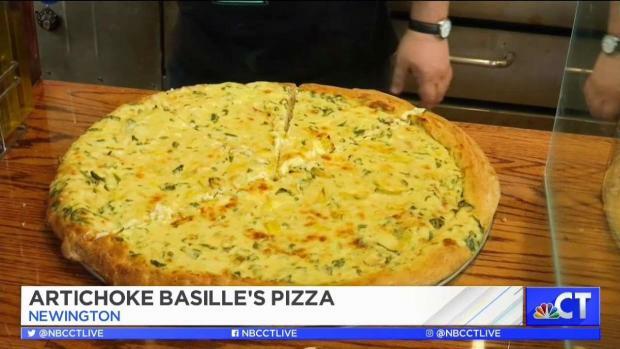 Artichoke Basile's Pizza in Newington is offering any slice of pizza for $3.14 cents today only. A brand new franchise is now open in Newington. Bertucci’s is celebrating Pi Day with a deal. Buy one large pizza and get one large cheese or pepperoni pizza for $3.14. See Bertucci’s Facebook page for details. Blaze Pizza is offering a $3.14 pizza deal through the app. Boston Market is offering a buy-one, get-one deal. If you buy one pot pie and a drink, you can get a second pot pie for free with this coupon. Max Restaurant Group has a Pi Day deal. Buy one pizza and get a second for $3.14 at Savoy Pizzeria, Max a Mia, Max Amore and Trumbull Kitchen. Pieology has a special promotion for Pi Day and Pie Life members can get $2 off your next order. Contact your local store for details. There is a location in Stamford. PI DAY IS TOMORROW! Tag a friend you’re going to Pieology with on 3/14 to celebrate! Price Chopper is offering some pies for $3.14. See the company’s website for details. Stop & Shop is offering 8-inch apple, Dutch apple and pumpkin pies for $3.14 in honor of National Pi Day. Of you could pick up for favorite pie from your favorite place and hold your own Pi Day party. If you would rather stick to the mathematical roots of Pi Day, check out NASA's suggestions for 10 ways to Celebrate Pi Day with NASA.